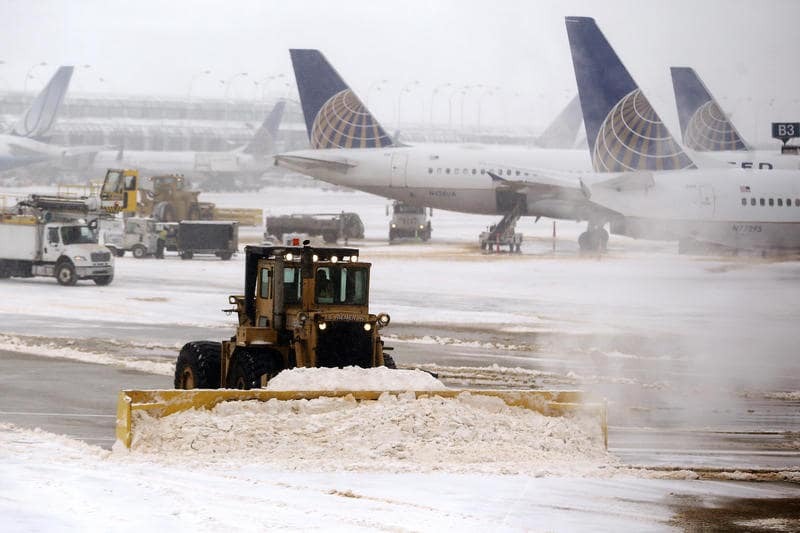 The incredible wave of frost that is hitting the midwest of the United States, where temperatures have also reached -50 degrees, yesterday forced the carriers to cancel around 1500 flights that should have been operated by the main airports in the area, including Chicago-O'Hare International Airport where 850 flights were cancelled. Even today will be a lot of inconvenience because as explained the national meteorological service temperatures will not rise yet remaining extreme, and this could cause new cancellations or airplanes diverted to other airports. The main US airlines have already made it known that the people left on the ground yesterday -and presumably today- will be reimbursed and will be able to purchase a new ticket without having to pay anything. To try to limit the number of connections that will be cancelled and hope to be able to make the most of late, the airport companies have asked the workers to make an effort and to present themselves to work in greater numbers so they can make more frequent breaks in the while the classic handling operations are carried out.